We’ve written about “The 10 Best Food Documentaries on Netflix” (and that’s a fantastic post), but we wanted to take it one step further. Because many of the latest food documentaries (or docuseries as Netflix calls it) are so engaging, enlightening and inspirational that they must be changing the way we think about food. So what do some of the top Netflix food docuseries have to say about today’s food culture? How are they addressing changes taking place to the industry—and to what extent are they the cause behind changes in food culture? Now on its fourth incredible series, Chef’s Table docuseries travels to the farthest reaches and most remote places on earth to interview the chefs behind the world’s best restaurants. Many of these chefs find inspiration and ingredients from their immediate natural surroundings and bring that to life in their dishes. Hunting and gathering ingredients from their local, yet remote and often inhospitable locations is a challenge in and of itself. And what happens in the world’s best restaurants makes waves across the global food scene, eventually making its way into cookbooks and even home cooking. 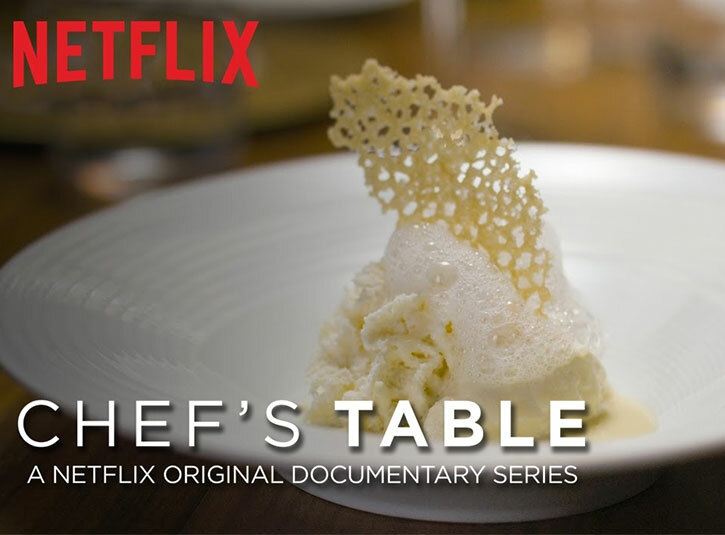 For example, season one features Dan Barber, an award-winning chef, farmer and revolutionary in the food scene, helping make the farm-to-table movement the phenomenon that it is today. Barber’s farm, Blue Hill Farm at Stone Barns, supplies his award-winning restaurant, Blue Hill in Manhattan with seasonal, local and organic produce. He reminds the audience to think about where food comes from and encourages us to grow our own food for not only sustainability but also flavour and freshness. 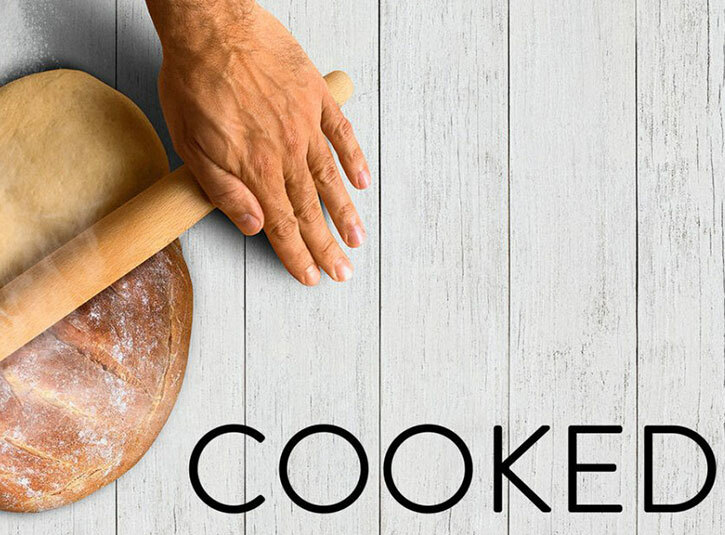 This four-part docuseries is based on the best-selling book, Cooked, by Michael Pollan. The book’s author and host of the docuseries believes that we’ve lost touch with how our food got to our plates. All of the mass-produced, pre-packaged, genetically-modified and frozen foods we eat makes it hard to track where our food came from. “When we learn to cook is when we truly became human,” says Pollan. If we can get back to the basics of hunting, gathering and, specifically to this show, cooking our own food, we take back our power as human beings. Pollan dedicates an episode to fire, water, air and earth—all of the necessary ingredients of life to cook our own food. With farmers markets increasingly selling local produce, inspirational cookbooks hitting the shelves and fantastic local restaurants opening their doors, we’re seeing supply and demand in action as the trend of making conscious food decisions takes off. 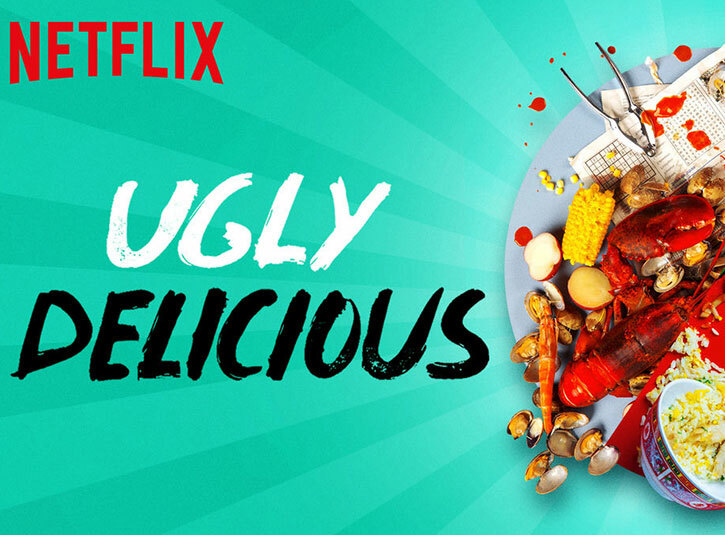 Equal parts serious and silly, the award-winning chef David Chang takes us on a cultural food tour in his Netflix docuseries Ugly Delicious. Going against the minimalist, perfectly-plated dishes of other top chefs, Chang stabs a fork into uglier, often fast-food style dishes that are secretly delicious. Take comfort food, for instance. Chang talks about how comfort food isn’t beautifully plated but is so tasty and reminds us of good old home cooking. It’s not only about the flavours and ingredients that go into the dishes, but also the love, care, culture and family stories and history that goes into them. Cultural fusion plays a leading role in this docuseries, as Chang discusses where different foods come from and how to respect the history and culture behind each dish while fusing the flavours together. This trend of learning and acknowledging the cultural history behind food goes far beyond food trends and showcases people’s increased willingness to understand, and hopefully respect and be sensitive to, other cultures and histories.